Try Continuous Ink System with your Brother MFC 440CN and make 30 times more quality prints for the same money! Pay only 0.04 USD for A-4 full color print! Inkjet printer Brother combines everything that could be required for individual working with documentation: printer, fax, scanner and copier. For operation piezoelectric inkjet technology is used, due to which a quality color printing is performed. The model could make up to 2500 prints per month. It is a rather high figure. In what cases you could use ciss brother mfc-440cn? It is desirable to use continuous ink supply systems ciss mfc-440cn in inkjet printers with built-in printing head (there are a lot of printers without printing head in the printer itself, it is located on the cartridge). Above all, it is stipulated by its high resource. Continuous ink supply systems can be used with all inkjet printers Brother, and the model in question allows to make great savings on printing by more than 50 times if you use original cartridges and by 30 times in comparison to the usage of alternative cartridges. If you use such system at home, you will make significant money and time savings on printing photos and other color production. The usage of continuous ink supply cis brother mfc-440cn at office provides you with a high saving ratio, even if you print ordinary office documents. Now the cost of printing with CISS is lower, than the printing with laser printer. Wherein lies the benefit of continuous ink supply system ciss for brother mfc-440cn? The simplicity and ease of installation. For example, the installation will take you 15-20 minutes. Even an amateur user will cope with it. As a rule, the instruction is not required for its installation. The quality of printing is kept on the same high level. As far as the pressure in the printing head is kept constant, the printing quality will depend on the fullness of the ink reservoirs. The printing speed and performance of operation increases due to the absence of necessity to spend additional time for cartridge replacement. ciss ink system brother mfc-440cn will do everything instead of you, as well as the same models in this class ciss for brother mfc-665cw and ciss for brother mfc 5440cn. The safety of printing head increases, because if you use such ink supply, you will not have to prevent air penetration into this detail of the printing device. If you install CISS for mfc-440cn, any ink, which is compatible with the printer and printing head, can be used. 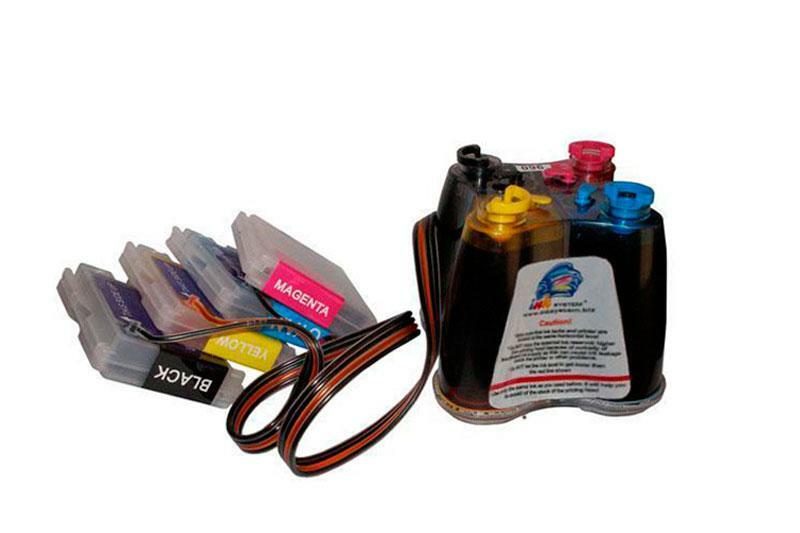 The continuous ink supply system doesn't have negative effect on the functionality of the printing device.